Looking for a great spot to watch the Big Game? 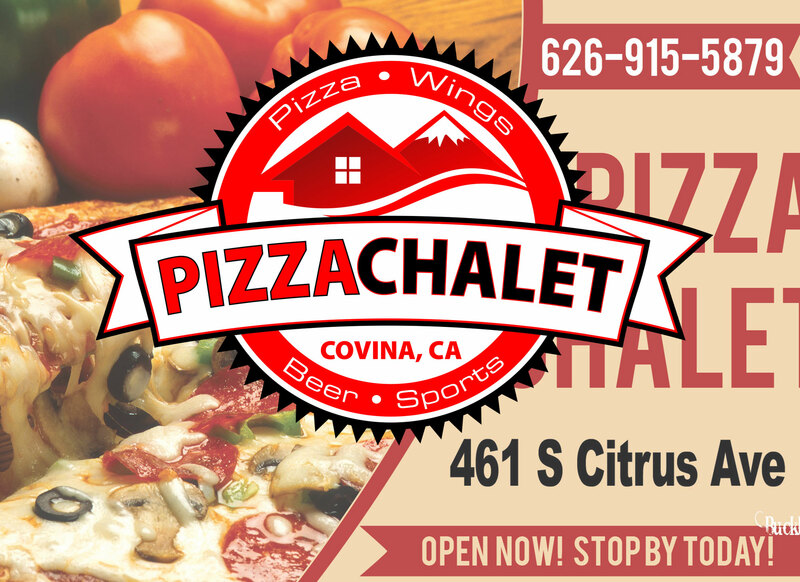 Pizza Chalet is hosting a Superbowl Party on Sunday Feb 3rd. Buffet opening at 2:30pm! For only $25 you can enjoy, Tri-Tip, Smoked Chicken, Santa Maria Style Ranch Beans, Fresh Garden Salad, Dinner Rolls, 2-16oz Domestic Beer of Choice or 2-6oz glasses of wine and appetizers during halftime! Make your reservations NOW. Call 626-915-5879 or 626-974-9991! Regular menu items will still be available all day as well! If you think the best seat in the house is at home, Buckboard BBQ is still offering our Football Tailgating Feast for such a low price! ! This package includes Tri-Tip, Smoked Chicken, Pork Ribs, Beef Ribs, Beans, Potato Salad, Green Salad & Garlic Toast for just $99.95 plus tax. Feeds up to 8 people! Call Buckboard BBQ & Catering today at 626-974-9991 or order online at www.buckboardcatering.com to book your next catered event! Get your next touchdown started today!